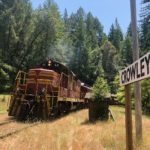 Join us on an adventure through the trees as we explore the beautiful Noyo River Redwoods property aboard the Skunk Train out of Willits. 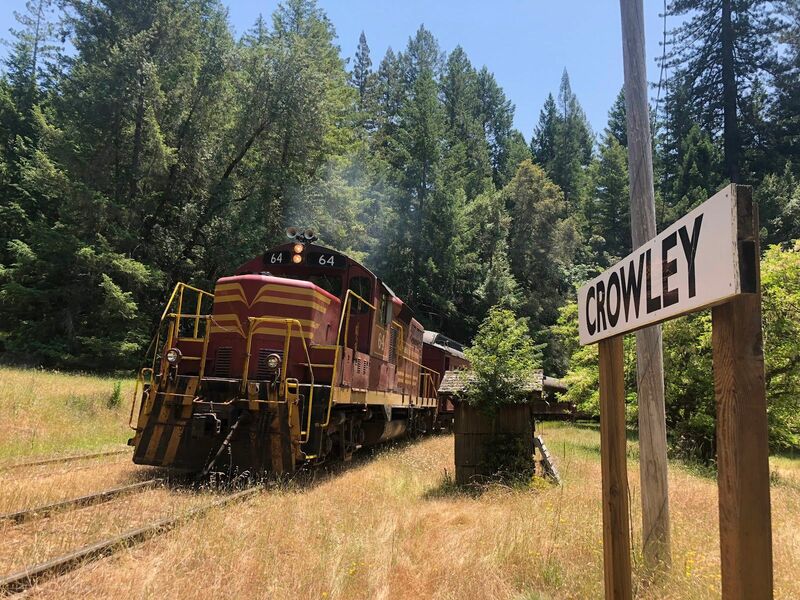 This preserve is only accessible by train, and our gracious Skunk Train host will stop for a festive one-of-a-kind outdoor luncheon at Crowley meadow. Guests will disembark there to enjoy a luncheon of paella, made right on site by Karina’s Catering, libations supplied by North Coast Brewing and Lula Cellars, and live music by the Hot Club of Comptche. Learn about this 426-acre redwood forest being conserved forever by the Mendocino Land Trust and hear about our exciting Train and Trails plans while supporting the stewardship of this land at a special fund-a-need appeal. Time: The train will leave the station at 11:00 a.m. and return around 4:00 p.m. Guests should plan to arrive at the depot 30 minutes prior to departure. What to Wear: This will be a festive outdoor event. We encourage everyone to wear sturdy shoes and to dress in layers. Tickets: $125 for adults, $60 for youths 2-20 years old. Purchase online here through Brown Paper Tickets. You can also order tickets by stopping by our office at 330 N. Franklin St. in Fort Bragg, or by sending a check or calling us at (707) 962-0470. Ticket price includes this exclusive train ride through our Noyo River Redwoods preserve, lunch and live music. Libations included. For more information visit the Mendocino Land Trust website. Article courtesy of the Mendocino Land Trust staff.